I’m sure you’ve heard me or any of the other coaches talk about the fitness pyramid and what it means in our daily lives. I constantly stress on how the foundation is so important to your overall health and performance. We all agree, the foundational component of general fitness/health is nutrition but there is another major key component that is nearly as important as what we are feeding into our bodies. We live in a fast society. We are always going. Trying to get to the next thing. Caffeine overloads because the alarm went off too early and you got to bed a little later than expected. Since you are reading this I know you care about your health and are looking for areas to improve. I’m sure you understand that working out and eating well are essential but how often do you think about some of the other factors that play into your health? Remember, fitness and health is a package. As I said before, there are many components that play major roles. You can’t choose only a couple and ignore the others. How about your sleep? And I mean quality sleep. Not just the time you spend lying in bed catching up on Netflix or groaning in the morning trying to find the snooze button. I mean actual time spent REALLY sleeping. Tucked under those warm blankets with the fan on. Dreaming of ocean waves. Drool on the pillow. Beethoven symphonies playing in the background. Ah! Sounds so nice. So many of us go all week not getting nearly enough sleep. Sleep deprivation is a common habit for many and gets ignored regularly. Oftentimes, I find myself failing in this area as well. If you truly care about your health, fitness, and well being, then sleep sufficiency should be very important in your lifestyle. I encourage you to take some time and figure out how you can effectively improve your time spent resting peacefully under the covers. Not only is sleep essential for day to day functioning but also long term vitality. If you’re already getting around 8 hours then chances are you are just fine. On the other end, if you are only getting about 4 – 5 hours per night, then this is something worth working on. Set some targets of trying to get to bed even 30 minutes earlier on some of those nights where you are really struggling. You can see it doesn’t have to be anything drastic at first. For most of us, we struggle during the weekdays. With doing this 4 – 5 days a week you’ve already added an extra 2 – 2.5 hours into your weekly sleep cycle. Start small and see where you can dig out some time and improve. Keep trying to increase those hours of nightly rest until you can get to a healthy optimal time. Sleep isn’t for the weak! 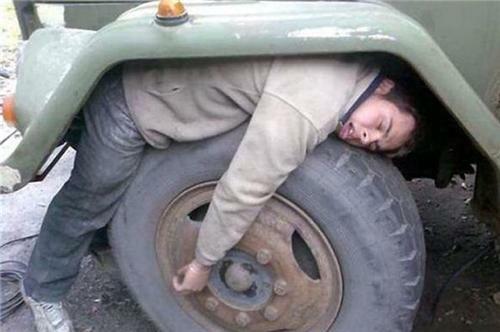 https://notch8athletics.com/wp-content/uploads/2018/01/sleeping-on-tire.jpg 332 500 notch8athletics https://notch8athletics.com/wp-content/uploads/2018/02/Notch8Athletics-rectangle.png notch8athletics2018-01-28 12:37:132018-01-28 12:37:13How Did You Sleep Last Night? The End of Solitude How much water do I actually need?